Sheet music is a symphony that is waiting to be played. A stranger is a friend that is just waiting to be made. An ambition is a dream that’s just waiting to come true. In each one of these instances, the difference is you! 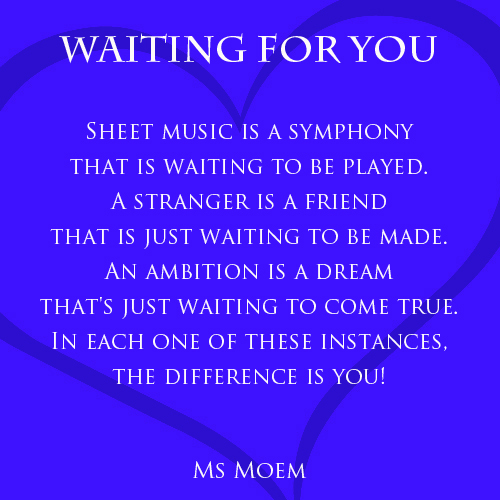 Waiting For You is a short rhyming poem by Ms Moem © 2011. Another great poem with some beautiful imagery. Short poems work best for me – and that’s the type I write (not usually longer than 16 lines).